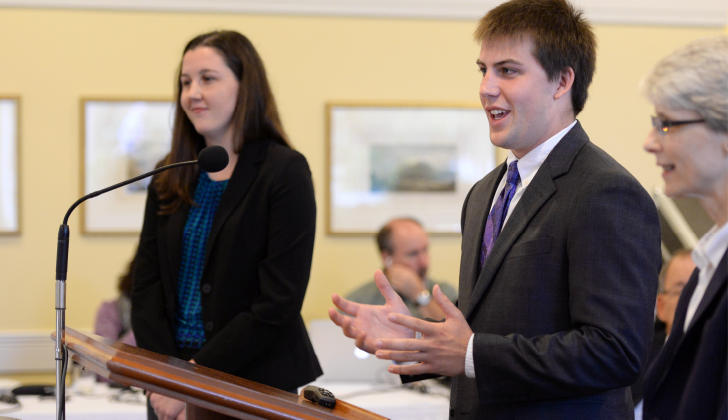 This annual symposium showcases undergraduate research from ACC universities. Research from all disciplines is presented through performances, posters, or oral presentations. ACC sports revenues are used to defray some of the expenses of this symposium, including travel support for a small group of UNC students to present. The OUR ACC Conference Ambassador’s role is to build community among and provide support to UNC-Chapel Hill Meeting of the Minds presenters. All full-time undergraduates who are enrolled in baccalaureate programs at UNC-Chapel Hill, are in good academic standing, and who have presented at an ACC Meeting of the Minds Conference are eligible to apply. Currently enrolled students who have served as the OUR ACC Conference Ambassadors in a prior year are eligible to serve again. To apply for the position, complete this brief application form and submit it to our@unc.edu. OUR staff and former OUR ACC Conference Ambassadors still on campus will review your application and get back to you.